the website that you are currently using, www.ruthintowncouncil.gov.uk, and any sub-domains of this site unless expressly excluded by their own terms and conditions. For purposes of the Data Protection Act 1998, Ruthin Town Council is the “data controller”. 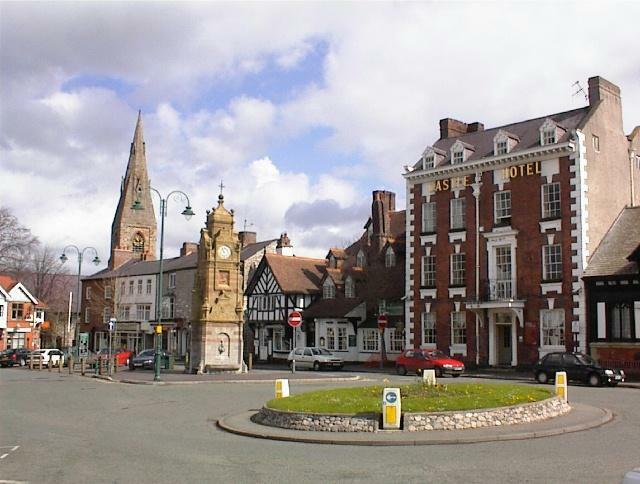 Ruthin Town Council may, from time to time, employ the services of other parties for dealing with certain processes necessary for the operation of the Website. The providers of such services have access to certain personal Data provided by Users of this Website. Our website may utilize third-party payment gateways such as PayPal or Stripe. During the checkout process, we obtain your shipping and billing information but transactional information is exclusively passed through the gateway in use. At checkout, you are subject to the privacy policies of the gateway provider, not Ruthin Town Council. ii. sharing Data with third parties. You can at any time request your data in a commonly used format, such as CSV. You can do this by contacting the Privacy Officer via email (clerk@ruthintowncouncil.gov.uk) with an access request. You have the right to ask for a copy of any of your personal Data held by Ruthin Town Council (where such Data is held) on payment of a small fee, which will not exceed £25.00. Data security is of great importance to Ruthin Town Council and to protect your Data we have put in place suitable physical, electronic and managerial procedures to safeguard and secure Data collected via this Website. Before the Website places Cookies on your computer, you will be presented with a message bar requesting your consent to set those Cookies. By giving your consent to the placing of Cookies, you are enabling Ruthin Town Council to provide a better experience and service to you. You may, if you wish, deny consent to the placing of Cookies; however certain features of the Website may not function fully or as intended. i. Strictly necessary cookies: These are cookies that are required for the operation of our website. They include, for example, cookies that enable you to log into secure areas of our website, use a shopping cart or make use of e-billing services. ii. Analytical/performance cookies: They allow us to recognise and count the number of visitors and to see how visitors move around our website when they are using it. This helps us to improve the way our website works, for example, by ensuring that users are finding what they are looking for easily. iii. Functionality cookies: These are used to recognise you when you return to our website. This enables us to personalise our content for you, greet you by name and remember your preferences (for example, your choice of language or region).